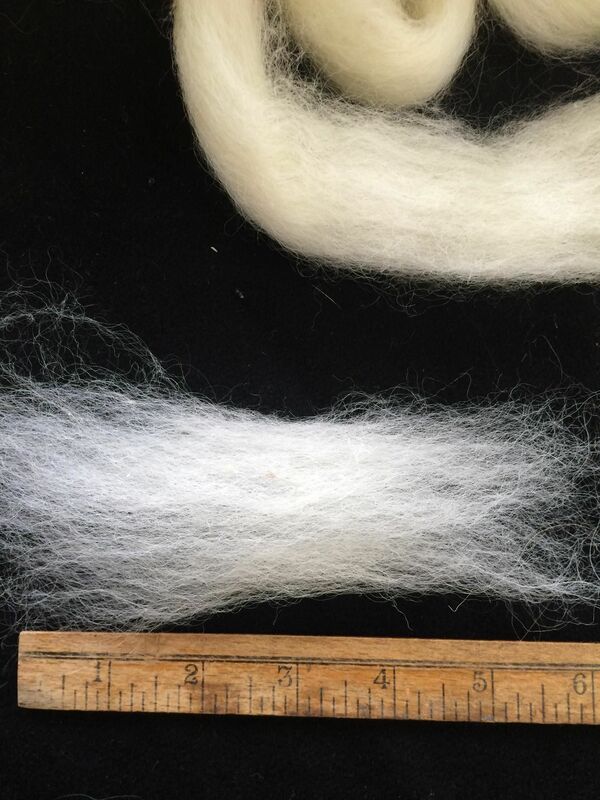 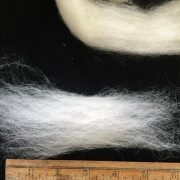 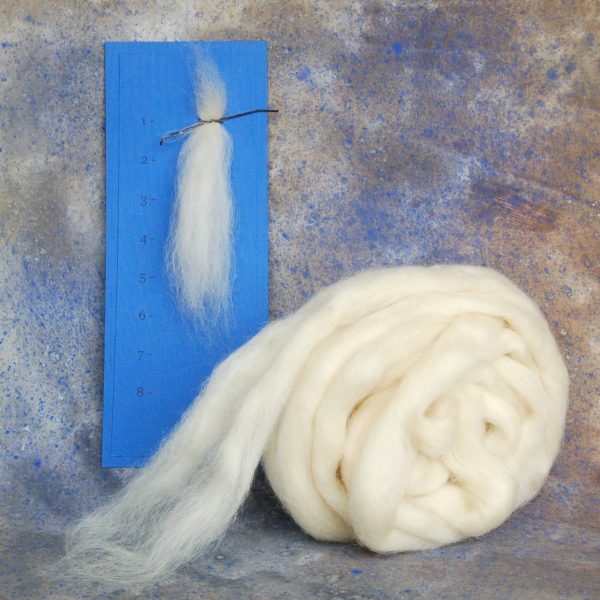 Our locally carded blend of Texas Mohair and New England Romney/Leicester style crossbred into a white strong carded sliver (S/C). 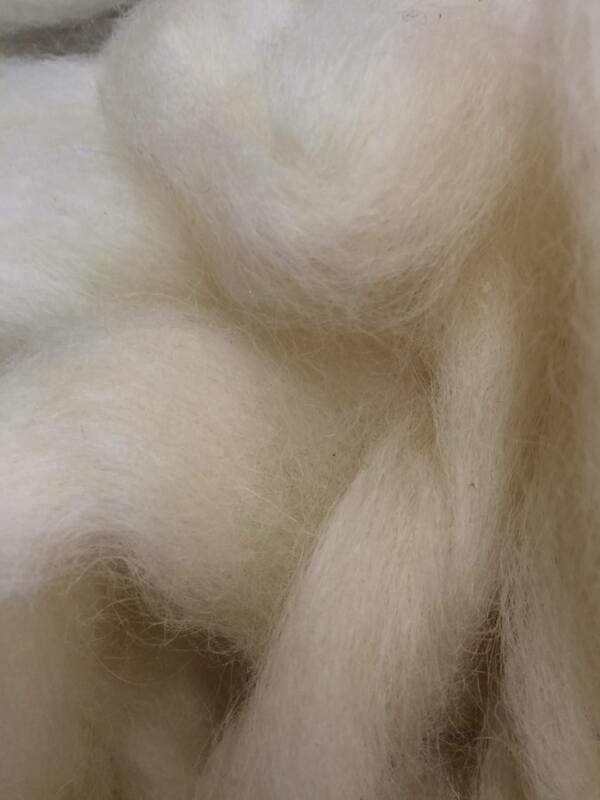 We tried to replace the ACK/ZAK and did so with a slightly softer and not so shiny sliver. 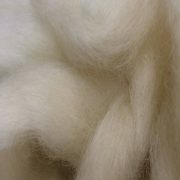 44% Mohair, 28% Romney, 28% Leicester Xbd blend. 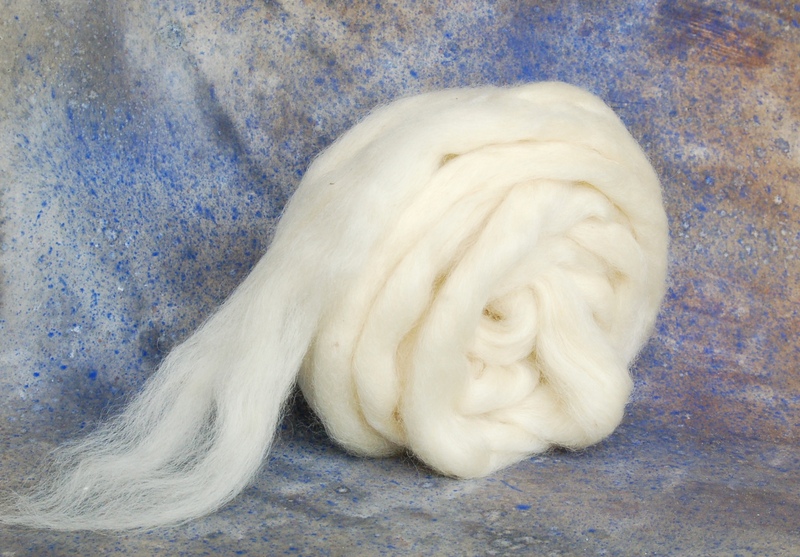 Priced at $13/lb and $169 for a 13 pound bump with free shipping. 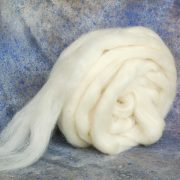 Choose Bump option for free shipping. The bumps weigh 10-14 pounds so the finally billing total may vary $10-30 up or down when we bill what we ship.